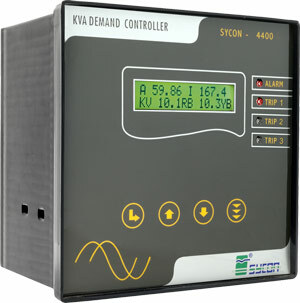 This Advanced Version Of MD Controller Has Three Trip Outputs And One Alarm Output. It Gives The User The Flexibility To Choose Its Tripping According To The Importance Of The Load. The Least Important Load Can Be Set For The First Tripping And Likewise The Next Two Trippings Can Be Set. Another Important Feature Of This Relay Is That Of The Connectabilty To The Computer Device. User Can Interact With This Relay Using RS232/RS485 Network.